Editor’s Note 2/26/16: I have updated the PDF of the 39 states I’ve been able to find the legal citations for. There is now a table of contents with clickable links for ease of access. I have also corrected a couple of mistakes. This section is for the documentation to prove that cancelling your voter registration DOES work. This is intended to be added to as more individuals proceed with their adventures in cancelling. On that note, if any of our readers do try and get documentation proving it works, please submit it to shane@libertyunderattack.com, with your personally identifiable information redacted out for your privacy. 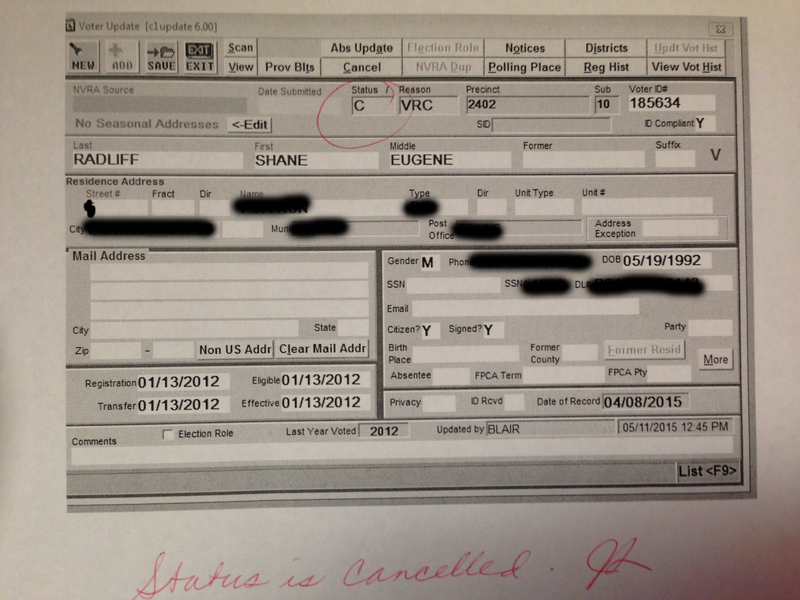 I finally obtained my proof in cancellation for her here in McLean County. The best they could do is provide me a print-off from their computer system (read my summary here), but it is surely sufficient and better than nothing. For more information, make sure to view my article describing my experiences. 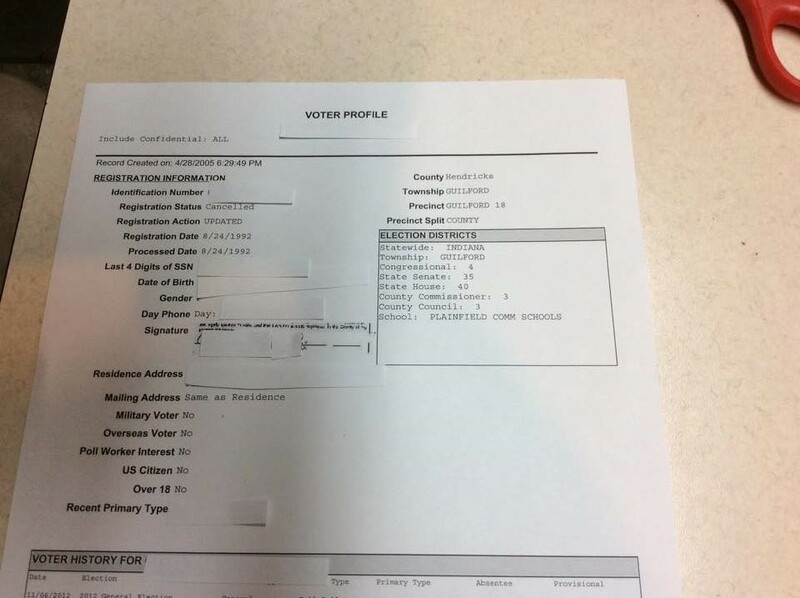 Kyle Rearden, a Texan blogger, was able to prove that it is possible to unregister from the voter rolls. The Texas government calls this, “canceling voter registration,” and the legal citations for it are provided in the voter cancellation legal information PDF above, along with the several other state governments. 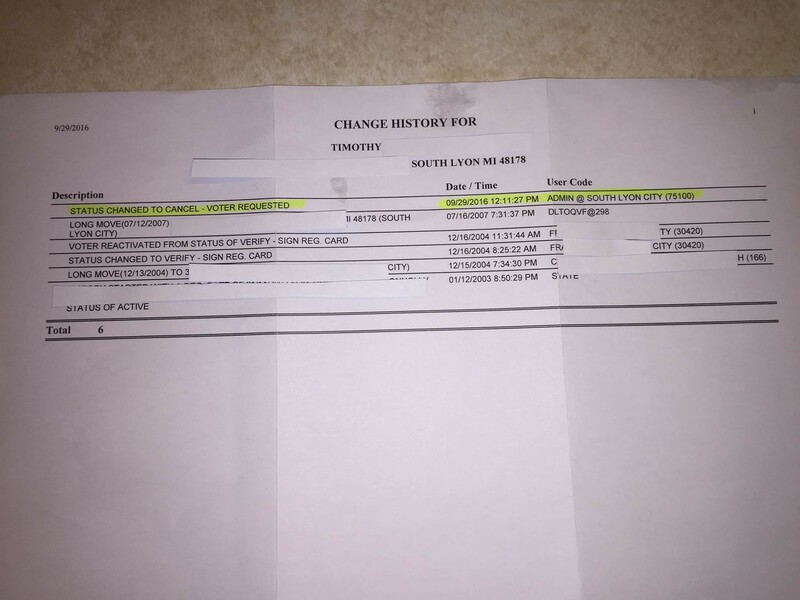 The document posted here is a county voter registrar’s “Written Notice of Cancellation,” which proves Kyle was right. 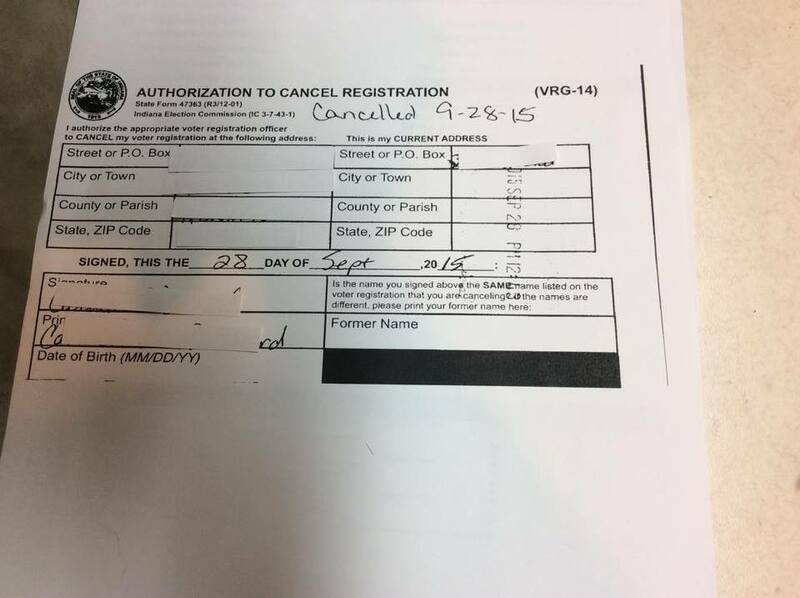 A reader/listener was able to cancel her voter registration in Indiana. Here is the voter information sheet and the cancellation form. 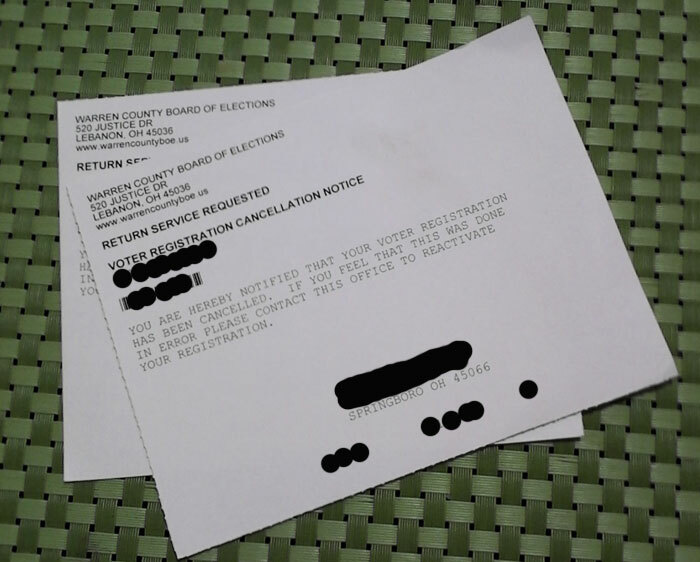 A reader/listener was able to cancel their voter registration in Michigan. Here is the documentation. This legal remedy has been proven effective in Ohio, as well. Here is the documentation. Add another one to the list! The efficacy of CYVR has been proven in the great tax farm of Virginia. Here is the documentation. As it turns out, Kyle became ineligible to serve on a federal jury, because the federal government’s jury wheel relies only on the voter registration databases maintained by the Texas government. Also, Kyle argues that there might be a potential litigation strategy for ex-voters to claim that they are no longer represented by the United States Congress, and therefore should not be fined for refusing to answer questions on the U.S. Census.